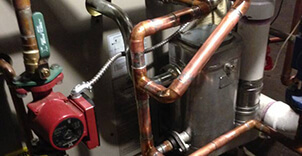 How do you find an HVAC contractor when you need service on your Stillwater home’s heating and cooling system? It seems like there are hundreds to choose from. There are large national firms, small to large local contractors, and there are even one-man operations that may be well seasoned or a brand new start-up company. Well, size in itself does not dictate whether you will get good or bad service. The truth is you could get good or bad service from any size company. The type of service you will get is largely dependent on the attitude of the company and the attitude and experience level of the technician that comes to service your unit. When the company attitude is good, many of the other important factors will also be favorable as well. Let’s consider what some of those other factors are. Large national HVAC contractors almost always have experienced technicians on their staff, in addition to less experienced technicians in training. 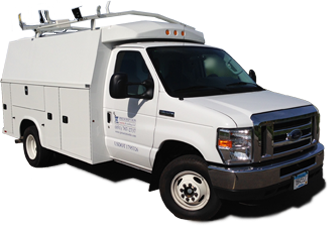 If the initial technician is not able to diagnose the problem with your system, he or she will probably be able to bring in the needed expertise, either by telephone or in person. Some of the drawbacks of large national firms are that their service rates tend to be a bit higher than local contractors, and upper management at headquarters is often more interested in the local office reaching their revenue goals than establishing a good reputation in the community. Contractors around for five years or longer are probably doing a lot of things right. 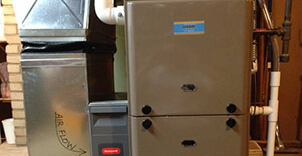 Even the small one-or-two-man HVAC contractor may be a very experienced and qualified technician that has chosen self employment as his or her preferred method of operation. He or she may even be on the way to becoming a major player in the marketplace. Young companies do tend to have service rates more favorable than large older companies that have accumulated equally large overhead expenses. There’s no way to absolutely guarantee that you will be pleased with a contractor the first time you use them, but if they meet most of the above qualifications, there’s a pretty good chance you will get very good service. If you need a qualified full service HVAC contractor in Stillwater, MN or elsewhere in the Twin Cities area, contact Prescription Heating & Cooling, LLC at (651) 767-2737.